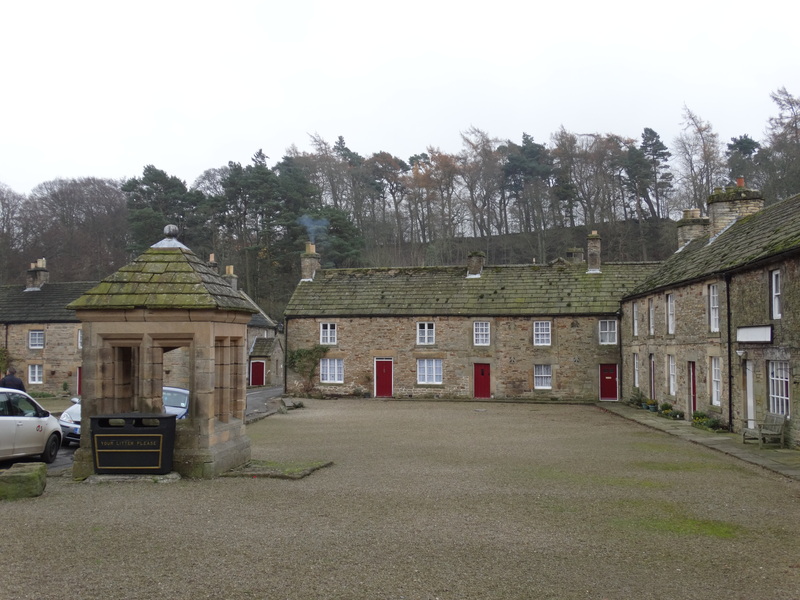 Friday 21 November 2014 was not the best day for a drive – rather grey and damp – but we headed south from Hexham to Blanchland. It is a lovely drive south. 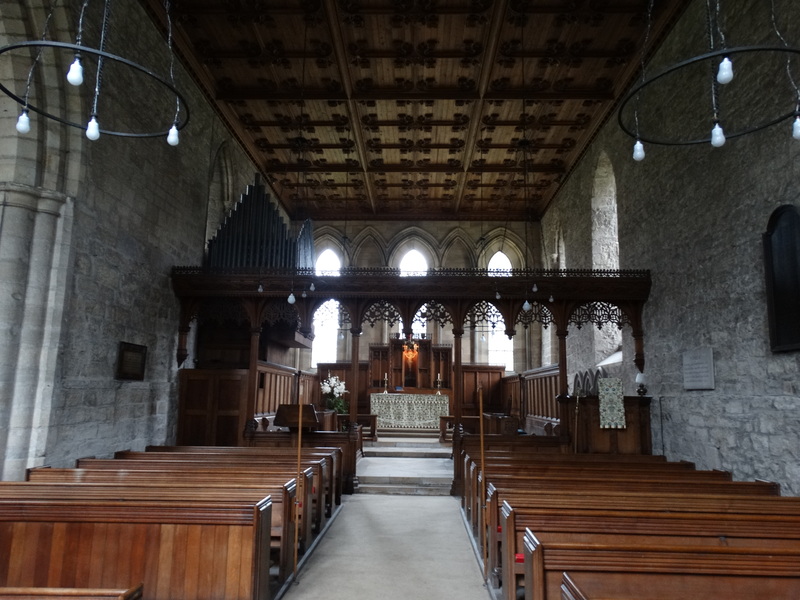 We parked in the centre of the village, and I wandered into the church – NY966504. 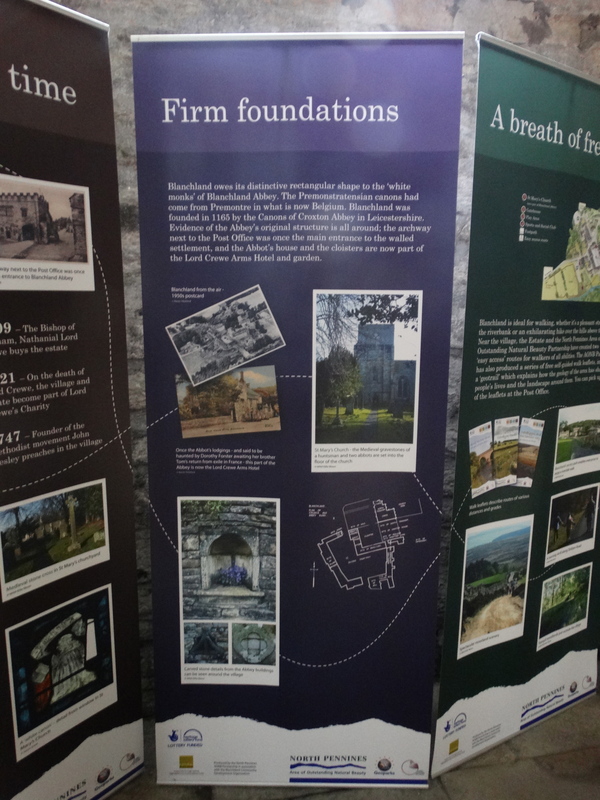 There are some display boards, but no guidebook (how about a Benefice guide? 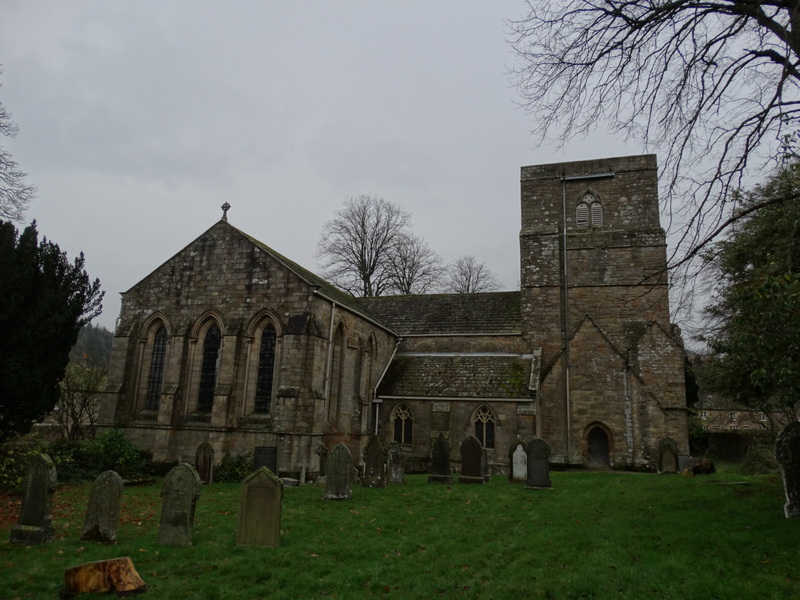 – an attempt to link all the churches in the Moorlands benefice) and not much on any website. 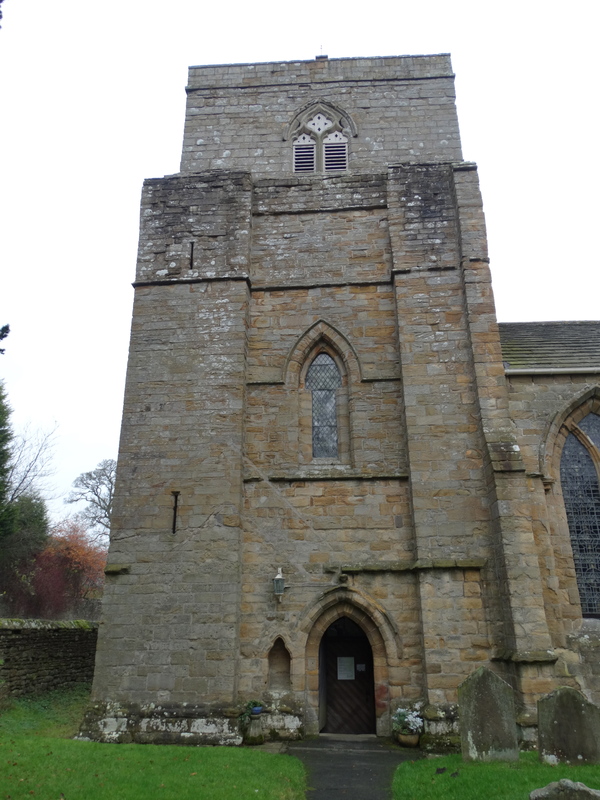 The village website says “the village owes its original existence to the foundation of the abbey in 1165. 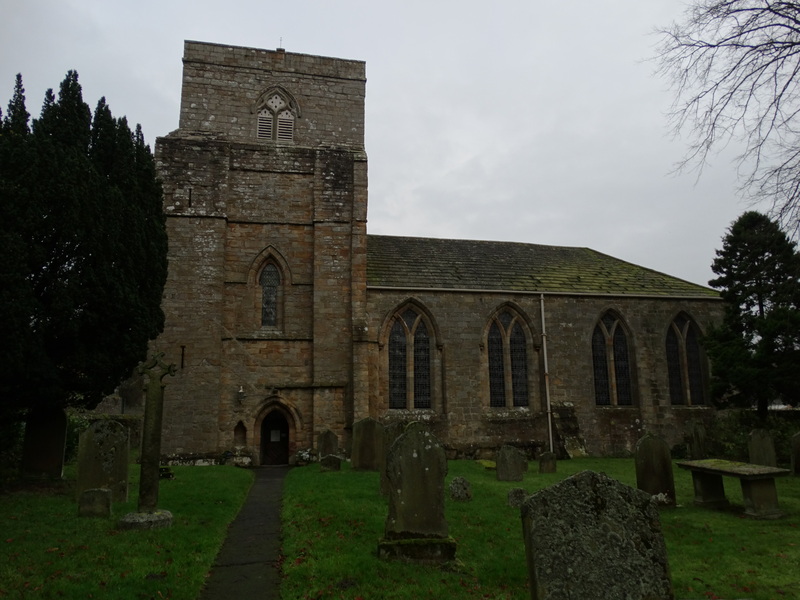 The church is a Grade 1 listed building containing a variety of remnants from the earlier abbey and from the 12th to the 19th century.” Another village website http://www.blanchlandhistory.org.uk/ has lots of broken links. 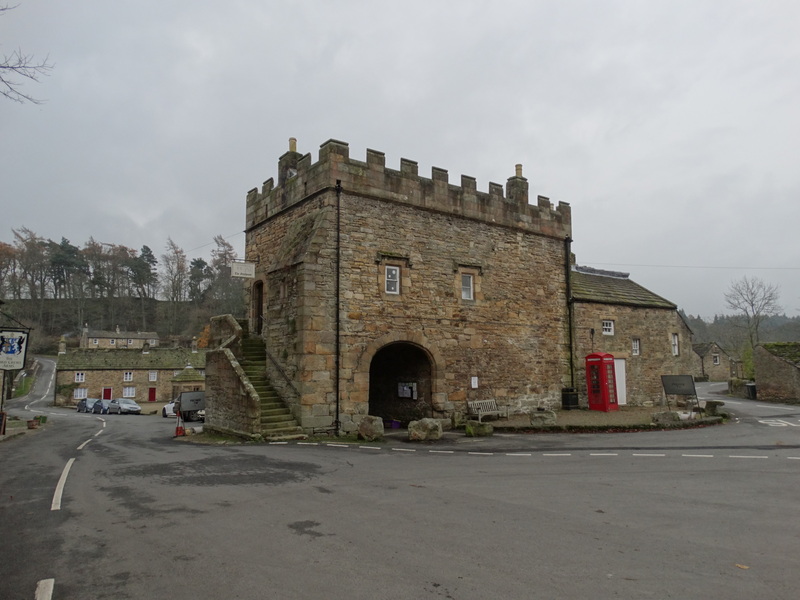 The land was granted by Walter de Bolbec – makes you wonder what a Normandy knight made of the North Pennines. A pretty stunning tower – protection against Scots for the use of, I assume. 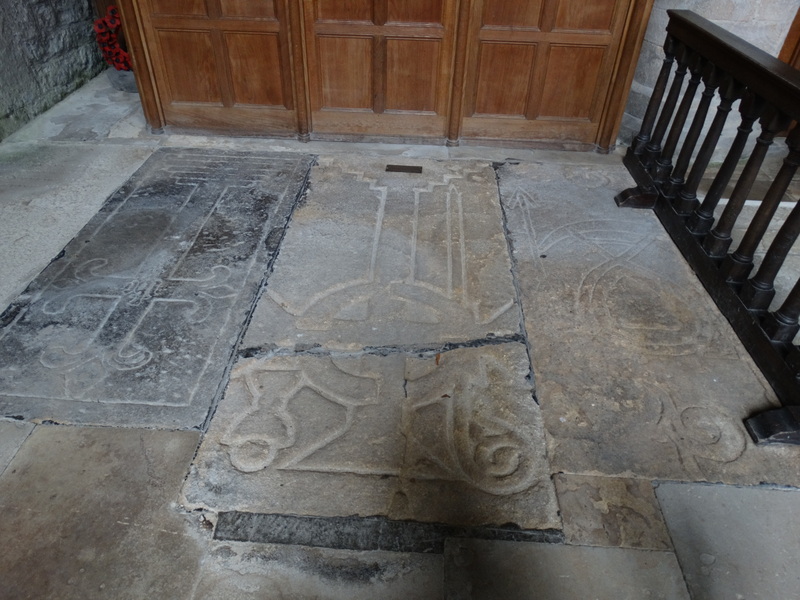 Certainly Edward III visited here in 1327 on his Scottish campaigns. 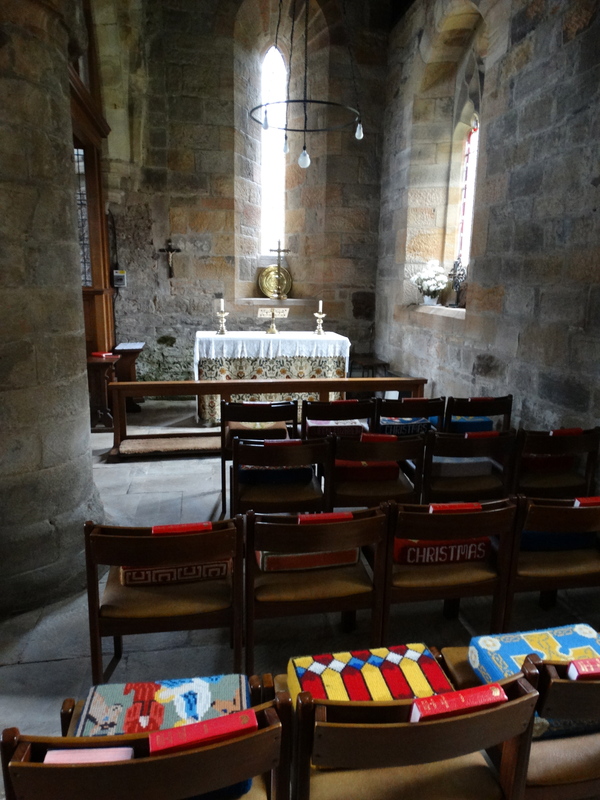 The Abbey was dissolved in 1539, and in 1709 was bought by the Bishop of Durham, Nathaniel Lord Crewe – we have come across him before (at Bamburgh). When he died in 1721 the village and estate became part of the Lord Crewe Charity. 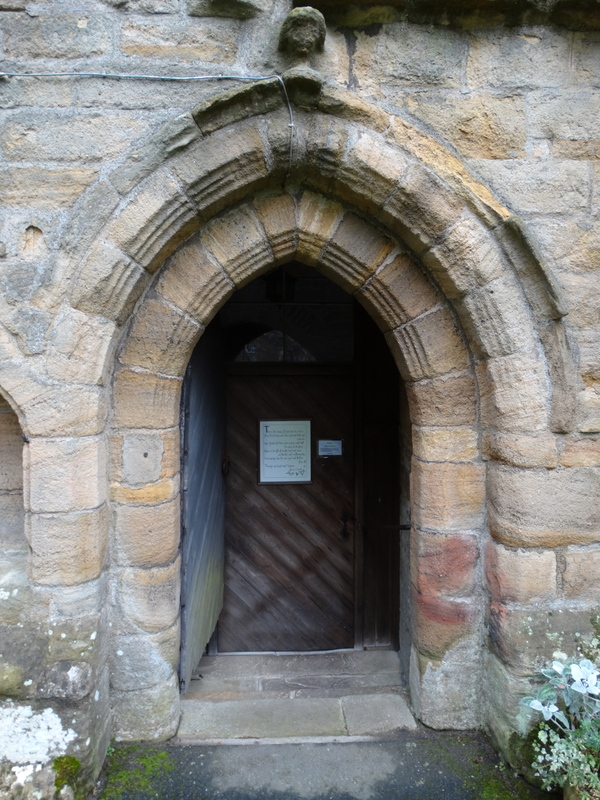 You come in through the main door – some pretty hideous steps, turn right into the church, and walk along to the position from where I took the middle right photo. 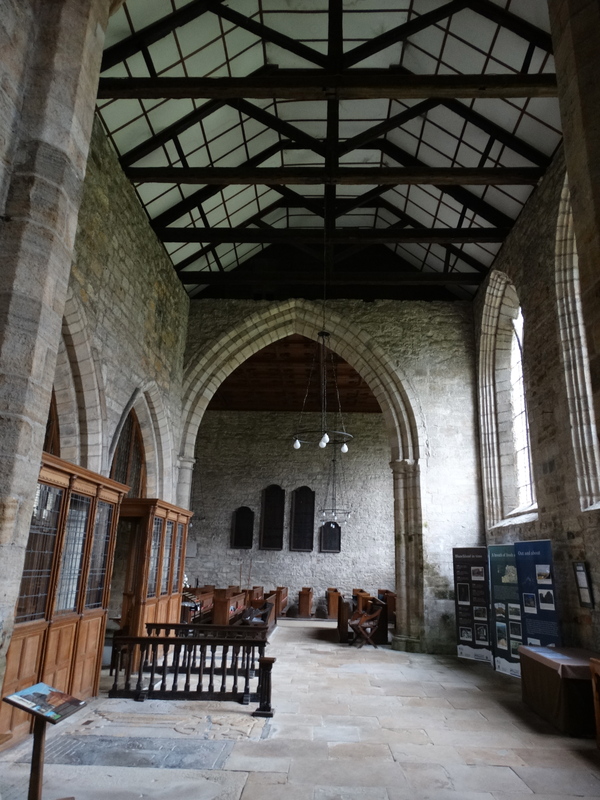 Then you turn left again into the main nave. 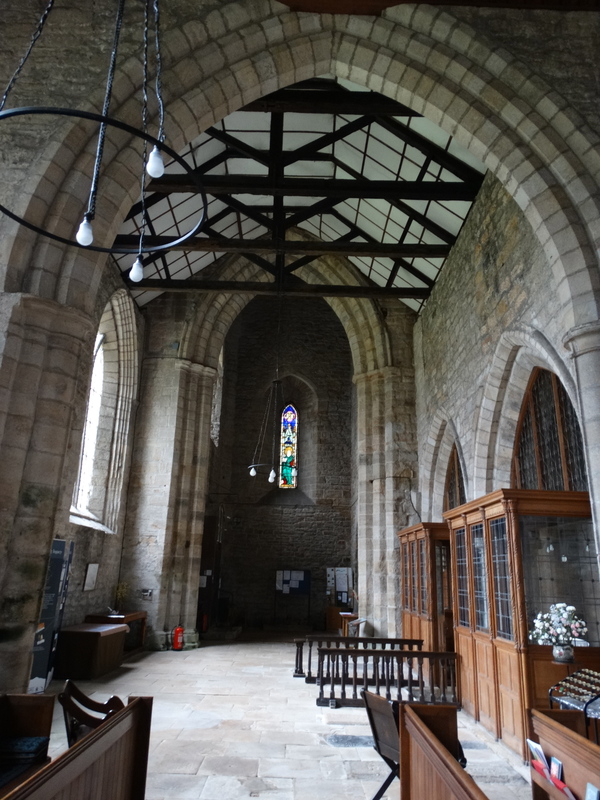 You can see a nice nave roof, which I assume dates to the rebuilding of 1751-2. 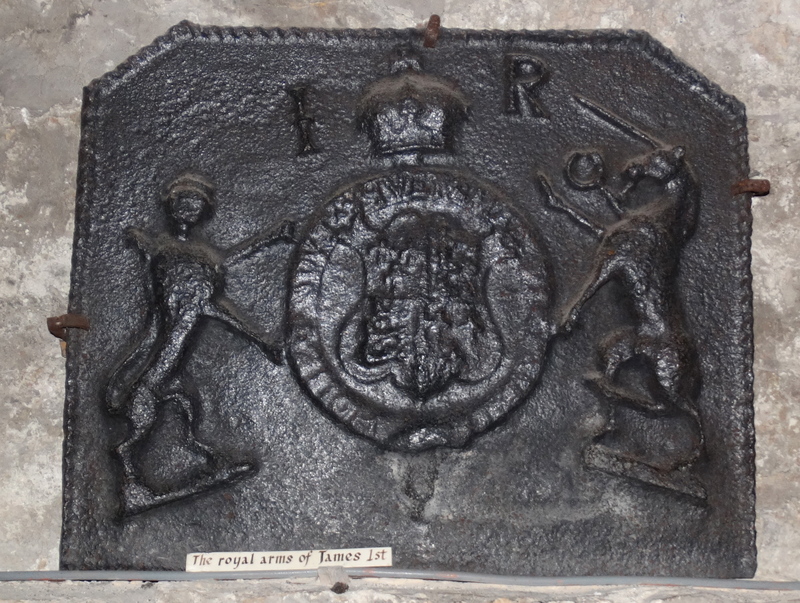 The arms of James I are cast in metal. 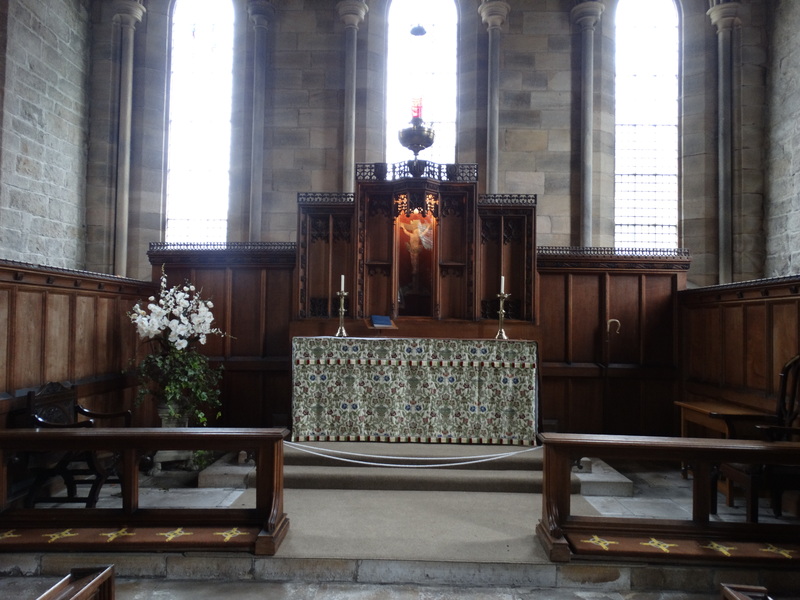 Now they have a little chapel where they have their fortnightly service – and you can’t help repeating Wesley’s last line … . 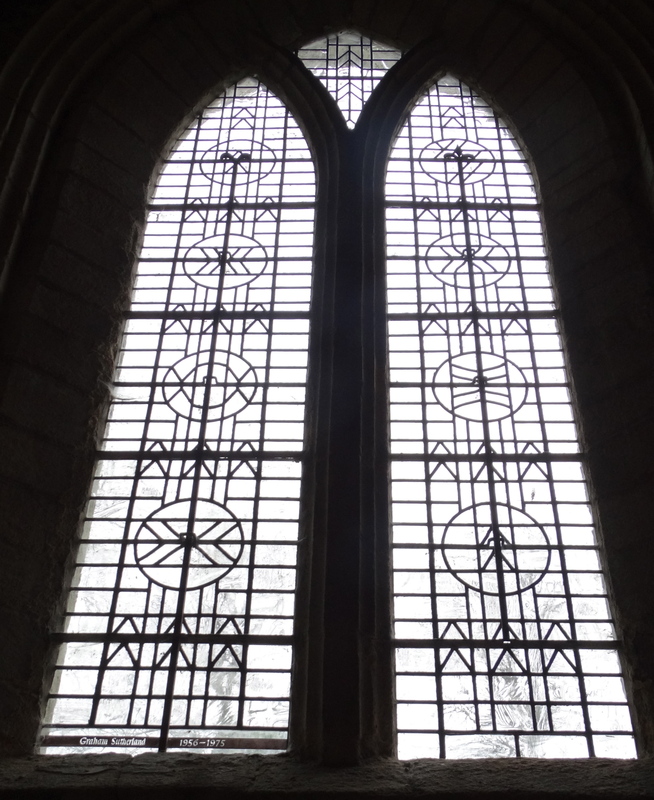 I suspect this is not the liveliest of villages – and what do we do with such a huge church? 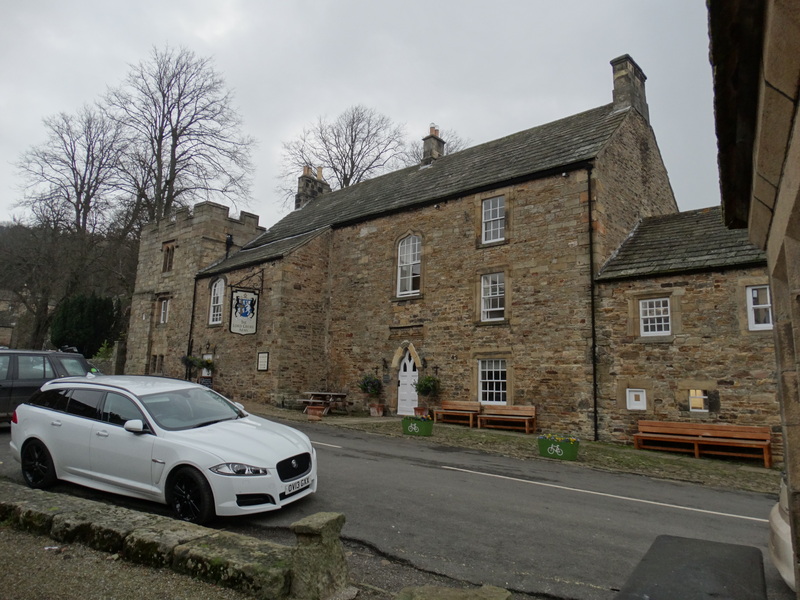 Can’t help thinking it would have been better to have done a Brinkburn Priory and handed the whole lot over to English Heritage. (Though in the current financial climate they would not accept it). 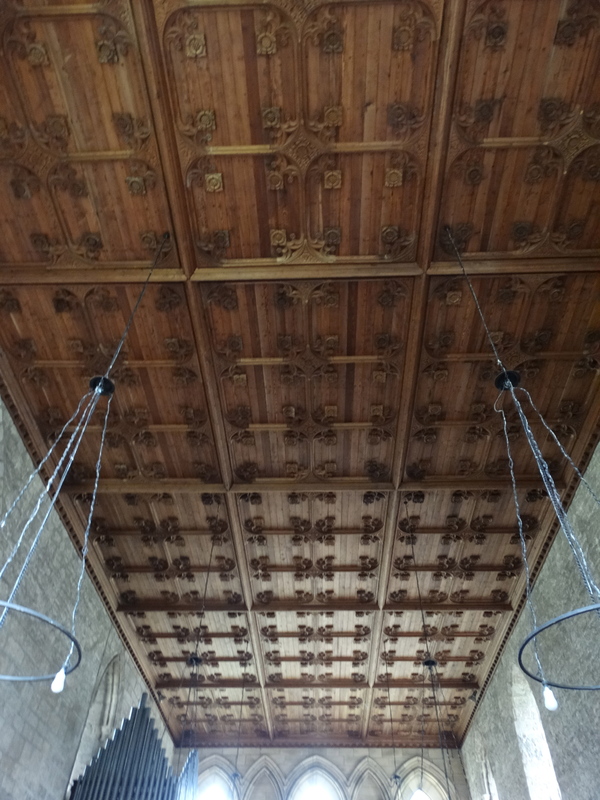 On this topic, despite being an EH Life Member I had not really picked up the huge changes that are happening to that body – basically “A new charity, retaining the name English Heritage, will run the National Heritage Collection of historic properties. A newly-named non-departmental public body, Historic England, will be dedicated to offering expert advice, championing the wider historic environment and providing support for stakeholders in the heritage sector” says the website. 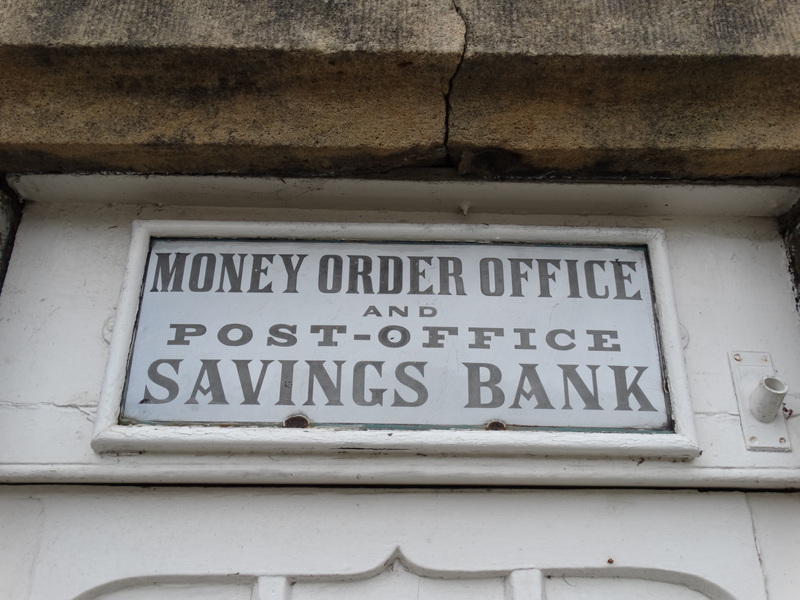 Three comments – when you put an announcement on a website, put a date on it. Secondly, do you really want to keep using the phrase “New Model”? – some of us think of Cromwell and his New Model Army (and look at the destruction they wrought). Thirdly, I have heard a tale that there was a lot of discussion what to call the body that has now ended up as “Historic England”. One suggestion was “Caring for the Past”, another was “Past Caring”. 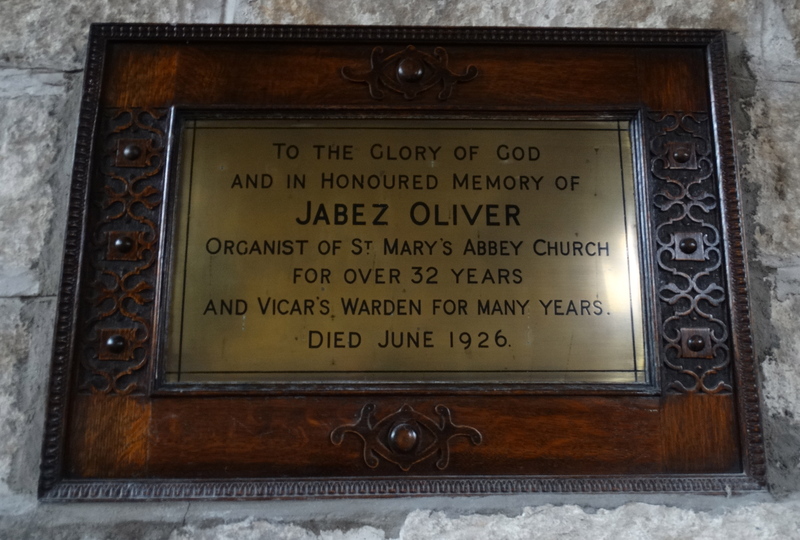 Some nice Evetts clear glass, but very difficult to photograph his calligraphy. 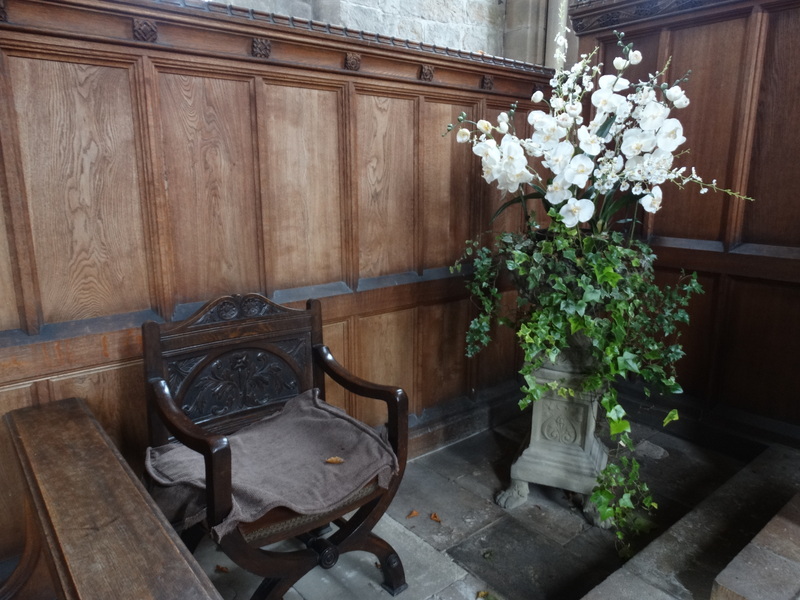 I had a wander round the back of the church – too weather is too dull for decent photos. 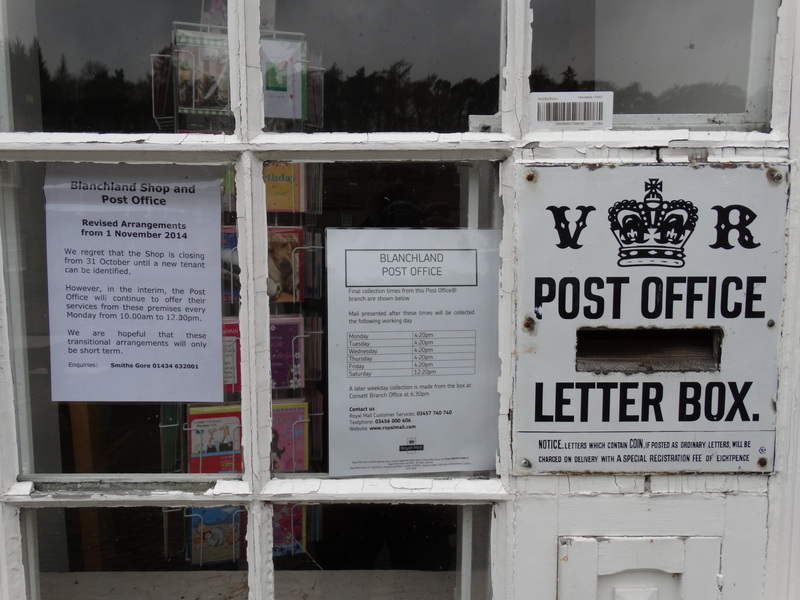 This entry was posted in Evetts' windows, Northumberland. Bookmark the permalink.